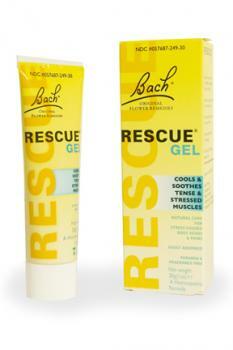 Refreshing and cooling Rescue Gel provides soothing relief for stressed muscles, aches, pains, stiffness, and tightness. Perfect for heavy legs and tired feet, Rescue Gel is easily absorbed without greasy residue. Directions: Clean affected area, then apply a generous amount of Rescue Gel to the desired area. Re-apply as required. Check that seal is intact before use. To open, pierce tube seal with top of cap. Warnings: Keep out of reach of children. If pregnant or breast feeding, ask a health professional before use.